Geothermal HVAC | T. N. Bowes Heating & Air Conditioning, Inc.
Geothermal HVAC systems are much more than a “green” heating and cooling opportunity. Clean, safe, quiet, with exceptional reliability, longevity, and investment recovery, geothermal heat pumps exceed expectations in every way. Whether you’re considering geothermal heating and cooling for new construction or replacing an outdated HVAC unit, call on the experts from T. N. Bowes Heating & Air Conditioning, Inc. to handle your start-to-finish installation project to higher standards. Our highly trained, experienced, and qualified technicians will make sure you enjoy maximum benefits, complete the job without delay, and familiarize you with proper operation. With a history of nearly three decades of service in Southern Maryland and parts of Virginia, T. N. Bowes Heating & Air Conditioning, Inc. is your trusted source for accurate recommendations, installation, maintenance, and repair. While traditional heat pumps draw from outside air, innovative geothermal heat pumps take advantage of free energy stored beneath the earth’s surface. Geothermal heat pumps offer both cooling and heating capacity, maintaining outstanding comfort year round, and achieving unmatched energy efficiency. Ranked as the most energy efficient and environmentally conscious option on the market, geothermal systems satisfy the demands of the average two thousand square foot house for about a dollar a day. 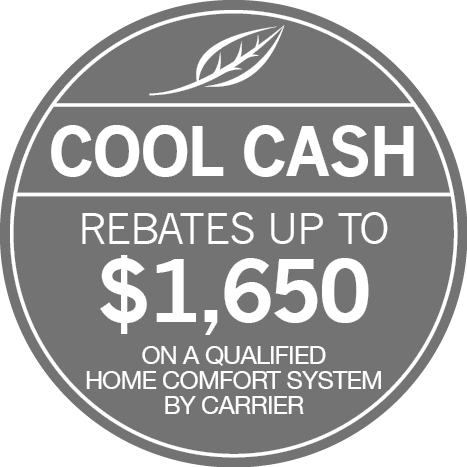 Enjoy the benefits of an energy efficient geothermal HVAC system installation! As an authorized dealer of WaterFurnace geothermal systems, T. N. Bowes Heating & Air Conditioning, Inc. consistently meets rigid criteria for technician training, business practices, and customer approval ratings. We specialize in the installation, replacement, repair, and maintenance of residential and commercial geothermal heating and cooling equipment. Don’t trust the complex components and technology of your geothermal unit to just anyone. Our team is equipped with the tools and diagnostic equipment to restore and maintain your geothermal HVAC system in peak condition. Call on T. N. Bowes Heating & Air Conditioning, Inc. to exceed your expectations for service and performance throughout Leonardtown, Waldorf, Lusby, La Plata, St. Leonard, California, Prince Frederick, Hughesville & Hollywood, MD.